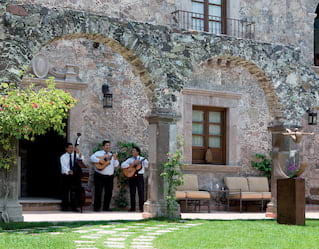 Be it an intimate gathering or a celebration on a grand scale, Belmond Casa de Sierra Nevada effortlessly combines timeless romance with first-class expertise. 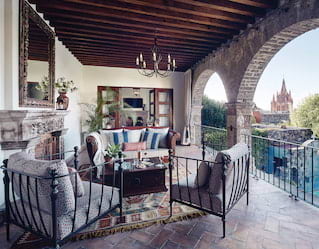 Located in Mexico’s enchanting San Miguel de Allende, events here combine colonial architecture, gourmet fare and luxurious flourishes for an occasion like no other. 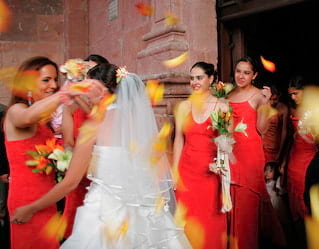 Live out your wedding day fantasy along the historical streets of San Miguel de Allende.A world-leading venue for destination weddings, Belmond Casa de Sierra Nevada works with the finest photographers, musicians and chefs to craft bespoke ceremonies and receptions. Pamper beforehand with an in-room beauty treatment, or organize pre-wedding drinks and Mexican canapés to start the festivities early. Every twist and turn of San Miguel begs to be explored. Cobbled streets and colorful homes crowned by a powder-pink sky… The romance is inescapable. Enjoy a bird’s eye view with a hot air balloon ride, or return to Belmond Casa de Sierra Nevada to relax in your intimate suite. A quarry-stone fireplace provides the perfect excuse to cuddle up in the cooler months. Team building in the wilds of Mexico provides endless opportunities for fun. From overnight hikes to forest trails on horseback, our concierge can coordinate an action-packed agenda in nearby Queretaro or Celaya. Hone your culinary skills with a gourmet class at Sazón, or arrange a low-key golf tournament. Get get everyone's adrenaline pumping on a river rafting exploration with Coyote Canyon Adventures. There’s something for everyone. Please contact us directly to discuss your requirements—we will be delighted to help.